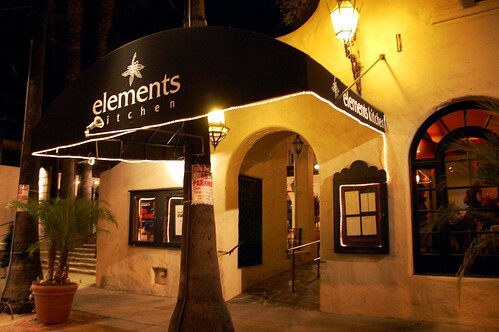 Giggles introduced me to Elements Kitchen not long after we went to Vertical Wine Bistro. She's my Pasadena ambassador. 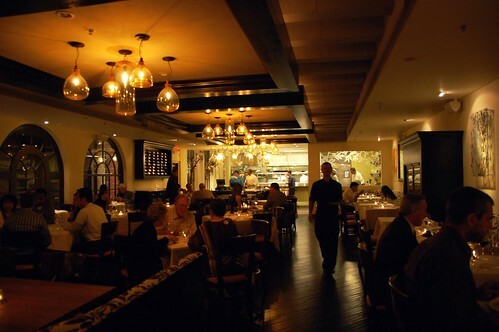 Bax and Slim joined us at this darling Pasadena eatery. 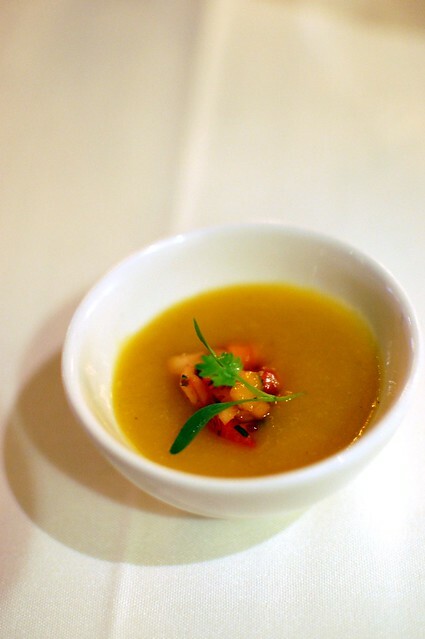 The menu at Elements Kitchen is seasonal and ever-changing to maximize the freshest and highest quality ingredients. 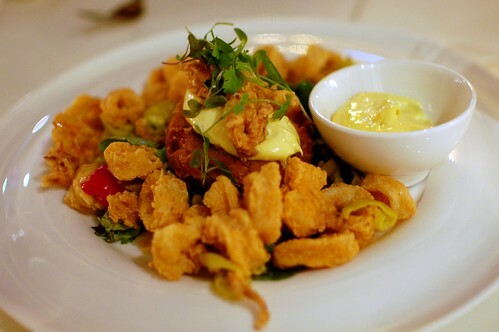 Crab and corn cake with crispy calamari salad, rouille, pepperoncini, cherry peppers ($16). 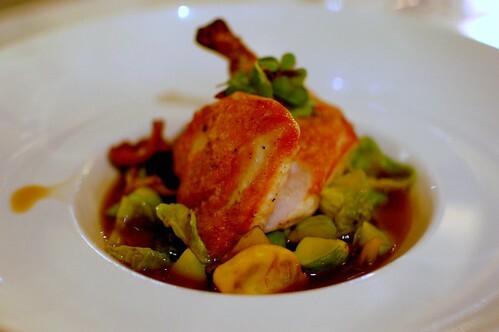 Seared chicken breast with morels and chanterelles, Brussels sprouts, summer squash, Beurremont truffle broth ($30). 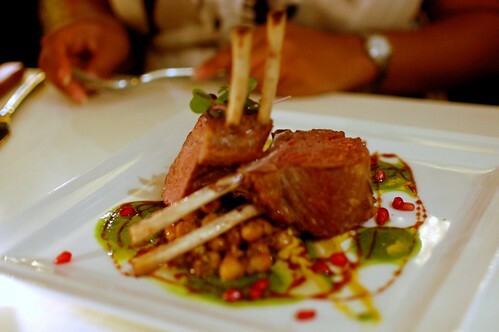 Lamb special of the day. 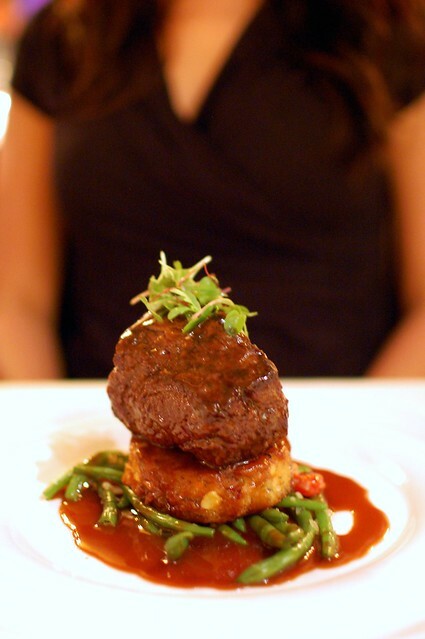 Grilled New York pavé, crab and corn cake, haricot vert, sauce Robert ($39). 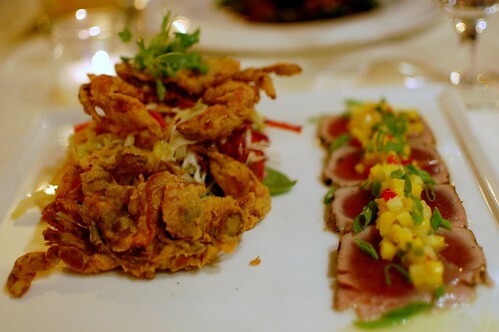 Crispy soft-shell crab and Jamaican jerk seared tuna, mango pineapple salsa, cabbage slaw, passion fruit dressing ($37). 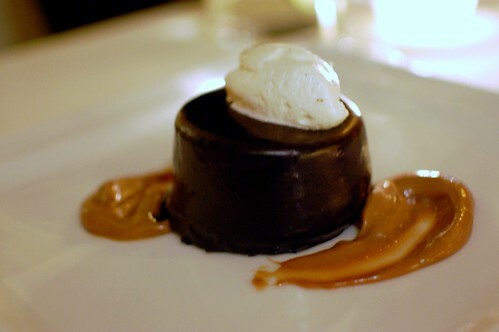 White chocolate and coffee mousse with milk chocolate ganache, brownie, chocolate glaze ($8). 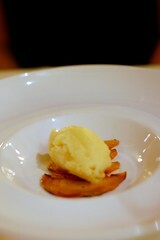 Peach and basil sorbet on brûléed peaches ($5). 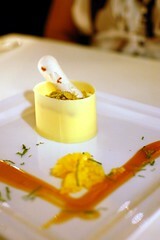 Ginger custard, white chocolate, passion fruit coulis, mango, ginger meringue ($8). 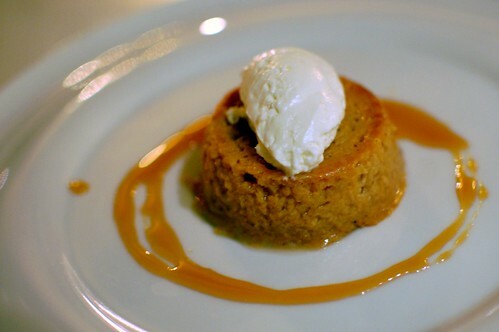 Honey corn pudding, chili lime sauce, candied lime, black pepper shortbread, crème fraiche ($8). Very good meal from beginning to end, although I question whether I'll be back because I found the prices a bit steep for what we got. 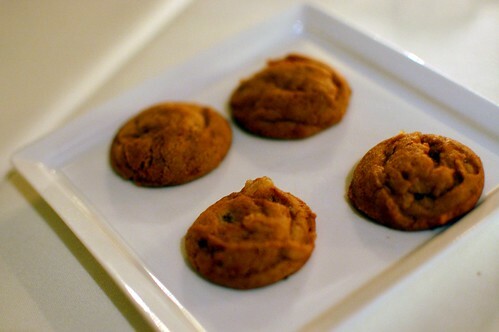 There are so many other places in L.A. that serve great quality food at much more reasonable rates. Woah, another Pasadena post! I'd agree with you on the price point, it's definitely not cheap, so unless the food is good, there may be better options. Hmmmm, my Pasadena ambassador doesn't take me to any place as nice as this. Maybe I should look for a replacement. you can also get married there, i think, as they have a gardeny facility. the wedding menus are overpriced as well. there's a smaller elements cafe that serves pretty solid grub, but with lower prices. lunch is pretty tasty there.